Fancy studying journalism in the USA, or business management in Canada, or even events and marketing in South Korea? Well, for 23 students from the University of East London (UEL) that will be a reality, as they set sail for a dozen countries across the world, as part of their studies. 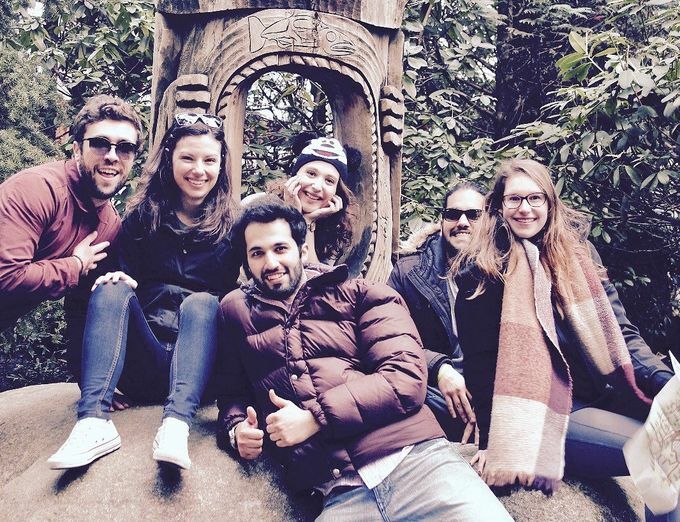 Thanks to UEL's student exchange and Eramus+ programmes, the undergraduates will get to spend a term or full academic year abroad, immersing themselves ina new culture and language. They will fly the UEL flag at universities in France, Canada, USA, Norway, South Korea, Holland, Belgium, Australia, and Spain, from the start of the new academic year in late September. Lavern Hayes, 49, from Chestnut in Hertfordshire, is one of the lucky few to head to SKEMA Business School, near Nice, in Southern France. 'I'm looking forward to living in a different country and learning and living the culture and language,' she says. Lavern will spend her year studying business management. She came to UEL later in life, following a long career in management, gaining a number of professional qualifications from chartered institutes. 'I really wanted to have a solid theoretical foundation so the degree is what I need, and I hope to do a PhD in the future,' she adds. UEL will also play host to 37 students from Spain, Norway, Belgium, Holland, Italy, Germany, South Korea, Egypt and the USA. They will likewise spend a term or year at UEL with all that London has to offer right on their doorstep, along with the chance to make the most of UEL's teaching, learning, facilities, and social life, and their own international contributions. UEL's study abroad coordinator, Carly Forsaith, has been instrumental in capturing the interest of students. 'Spending time abroad as part of your studies is a great way to enrich your time at university, become more independent, and enjoy the sight and sounds of a new country,' she said. She is wll placed to help, too. Carly, who is coming ot the end of her BA Early Childhood and Special Education degree at UEL, has lived in an impressive five countries. 'I grew up in France, first in Paris and then in Provence, it's where I went to school. I also spent six months living in Barcelona in Spain to learn the language, and also worked in Thailand as a teacher. 'As a student at UEL I spent my second year in Australia, which was great, and now I'm living in England. It's definitely given me the knowledge and experience to help students with questions about living on a budget and making friends.' she explained. It seems that it is not just the holidaymakers departing from London City Airport across the Thames from UEL's Docklands campus that have far-off destinations in sight.